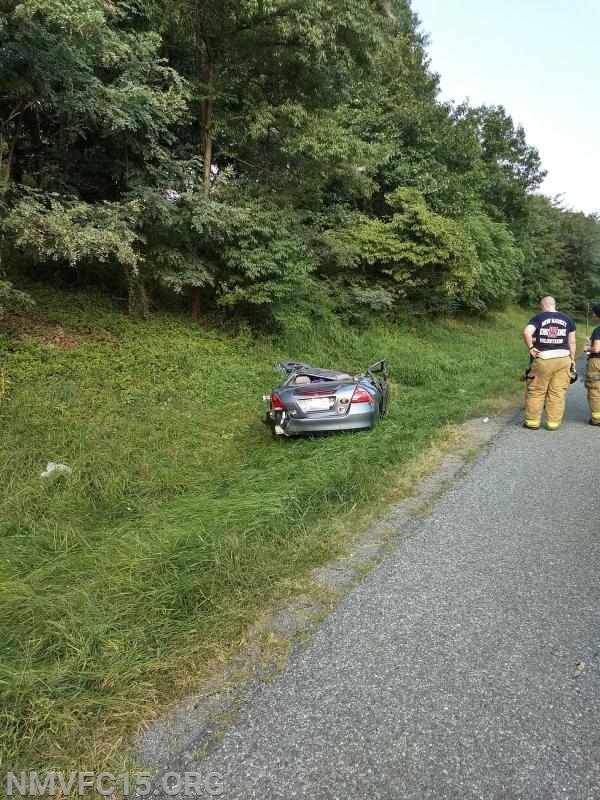 On Sunday August 26th at 1618 hours, units were alerted for a vehicle accident with rollover on I-70 westbound near Exit 59 (Route 144). A159 (EMS-II Puryear), RS15 (Lt. Williamson), E152 (Capt. Nalborczyk), and C15-1 (DFC Kennedy) responded with 12 volunteers on the run. While enroute the assignment was upgraded to an entrapment assignment with additional calls reporting one patient trapped. BAT901 arrived to find a single vehicle rollover with the vehicle on its wheels. One patient was confirmed entrapped and BAT901 established the I-70 Command. 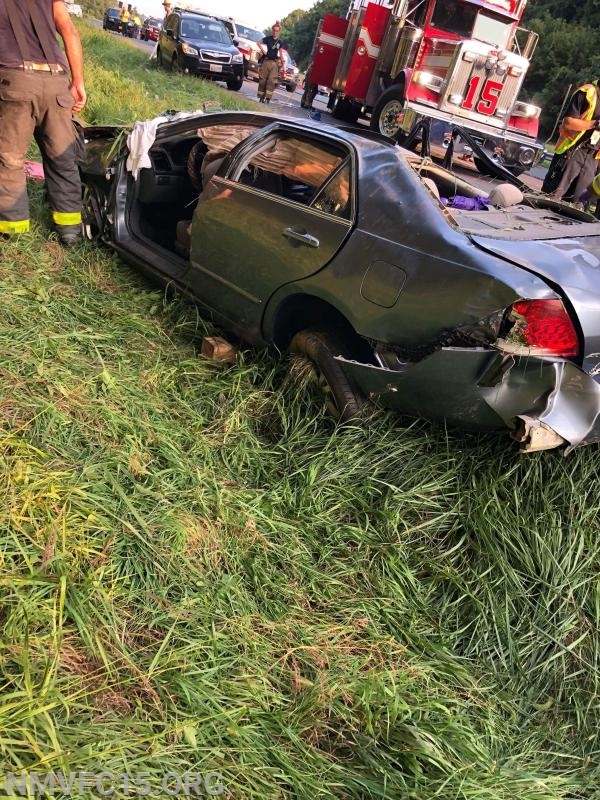 RS15’s crew quickly went to work stabilizing the vehicle and removing the driver’s door to gain access to the patient. 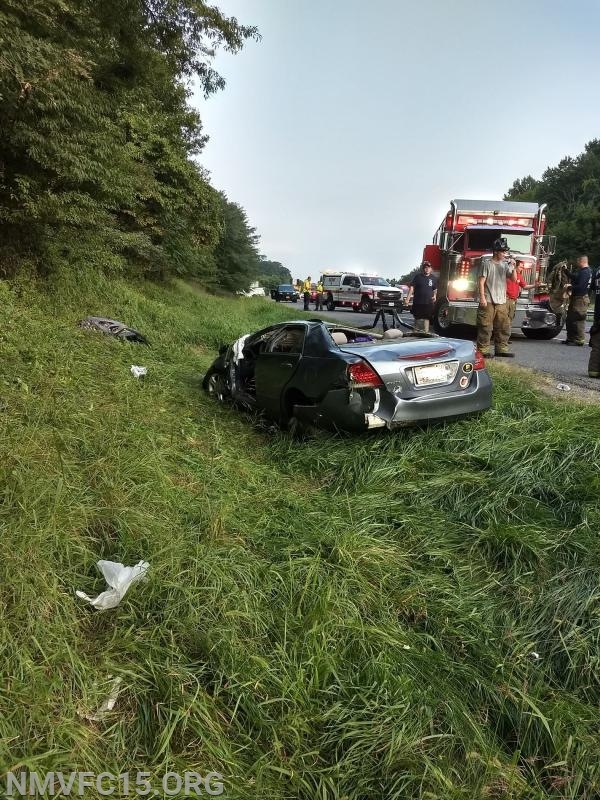 The patient was then transported by A339 to an area hospital.